The Adventures of Andy: Avengers Infinity War shows the dark side of environmentalism and the left is going nuts! Avengers Infinity War shows the dark side of environmentalism and the left is going nuts!
! But hidden beneath the flashy costumes, dazzling special effects and Tony Stark, Dr. Strange, Peter Quill, Thor (did I forget somebody?) one-liners is a cautionary tale of environmental extremism. 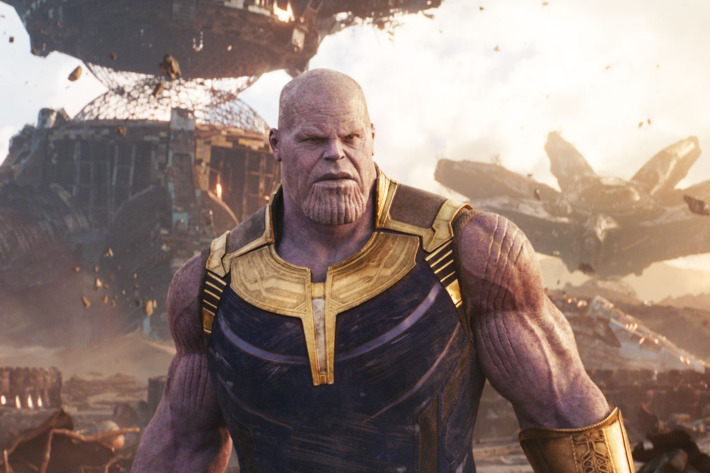 Our main villain in the movie is Thanos. He’s a big purple alien out to collect all the Infinity Stones: powerful artifacts that give their owner ultimate power. Thanos wants to use this power to eliminate half of all life in the universe. Why? Because he came from a planet that was overpopulated and eventually died. In the comics he does it to impress a girl, and as you will see if you keep reading, that is a much more plausible scenario. Now if you haven’t seen the movie (but judging by the box office numbers you are in the minority) you might expect this is where the colorfully costumed heroes come in to save the day. I propose that this is not necessary and all you need is a half-way competent economist. As it turns out Earth already has a Thanos. His name was Paul Ehrlich. In 1968 he wrote a book called “The Population Bomb”. The book is centered around a thesis that the world would experience mass starvation due to overpopulation throughout the 1970’s and 80’s. Ehrlich even had a vasectomy to not be part of the problem. King of late night Johnny Carson was infatuated with these ideas and invited Ehrlich on as a guest of the Tonight Show multiple times. But it was in the pages of Social Science Quarterly where Economist Julian Simon challenged Ehrlich’s assertions. Ehrlich wanted to bet that England would cease to exist by 2000. Simon proposed a counter-wager. He bet from 1980 to 1990 five non government-controlled raw materials would rise in price, adjusted for inflation. The agreed-upon materials were copper, tin, chromium nickel and tungsten. Ehrlich lost the bet in spectacular fashion. Rumor has it that Ehrlich never actually paid up the $10,000, and has since tried to massage the numbers in his favor. This is a prime example of what extreme thought, and however well thought out and articulated by people with letters after their names or holding the most powerful weapons in the universe, can be utterly wrong. What is right is the faith that the human mind, paired with the free markets will always find more efficient ways of using, gathering and even recycling resources. While very few environmentalists are proposing genocide on a Thanos level, they do often propose limiting our modern day comforts and conveniences, sometimes to the point that it does put lives in danger. Yes, your air conditioner does keep grandpa from dying of heat stroke. Free markets will always provide an answer to whatever problem exists. And the solution will usually make someone very wealthy.